Inscribed “A.P. XIV,” in the lower right of the image; one of 14 artist proofs; aside from the numbered edition of 42. Published by Tyler Graphics, Ltd., Mount Kisco, NY. 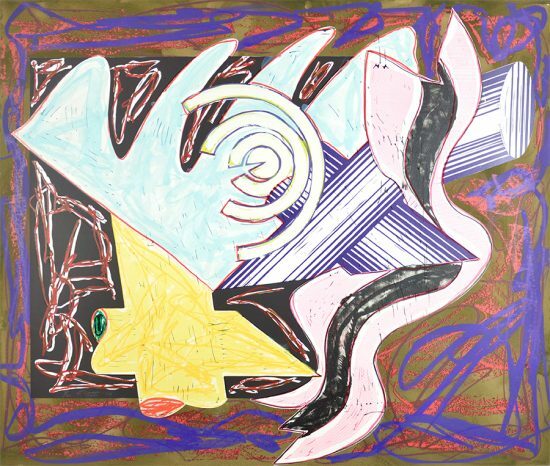 This work is hand-signed and dated by Frank Stella (Massachusetts, 1936 - ) in pencil in the lower right of the image. 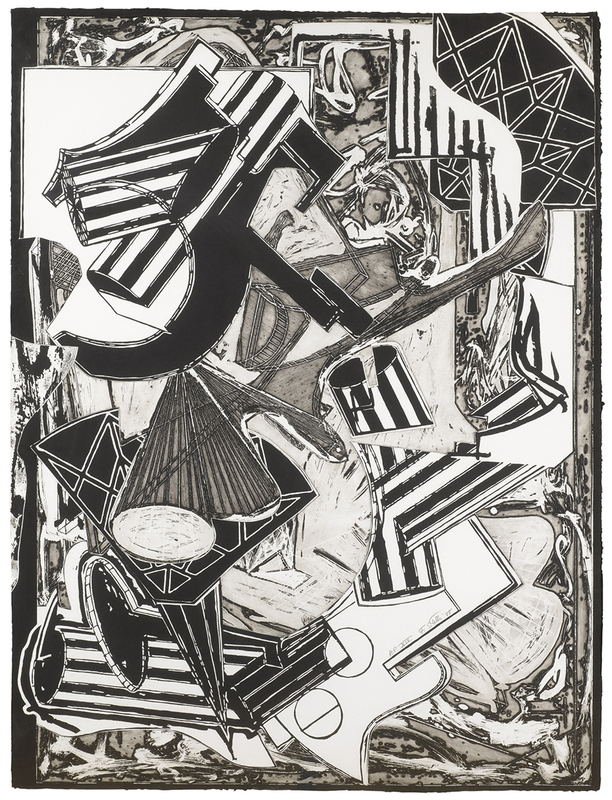 Frank Stella La Penna di Hu (Black and White), 1988 is an impressively-sized monochromatic realm of baroque shapes and dramatic forms. 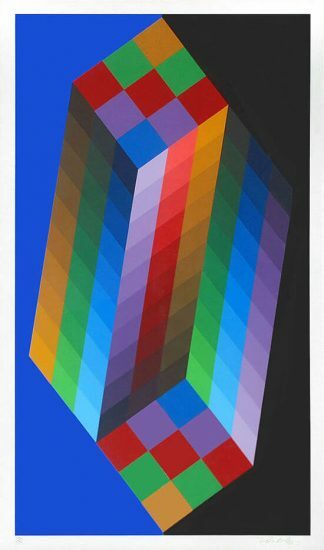 The piece is dominated by geometric pillars and cones, reoccurring characters in Stella’s impressive body of print works. Unlike its colored counterpart, the Black and White proof of Penna de Hu is infinitely more bustling, making up for what it lacks in hues with deep contrasts and an incredible sense of depth created by the complex stacking of irregularly shaped magnesium and copper plates arranged by Stella. There is a beautiful balance between graphic large shapes, such as the swooping black curl at the upper right, and the more nuanced detailed marks, seen in the lithe lines of the striated cone just below. Despite the extravagant dance and weave of shapes in the work, the absence of color endows it with a sublime tranquility. 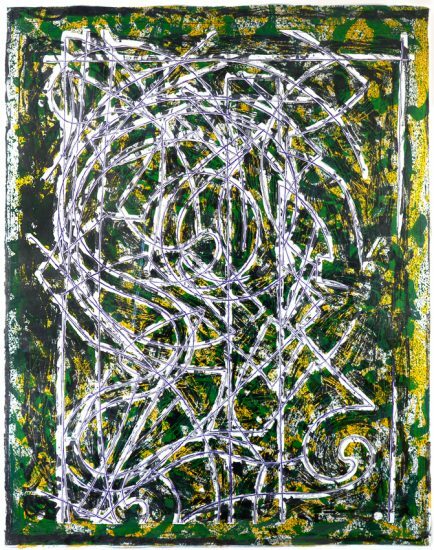 This stunning piece proves Stella’s unparalleled mastery of abstract narration, and remarkable ability to create a rich and complex world with only black and white. 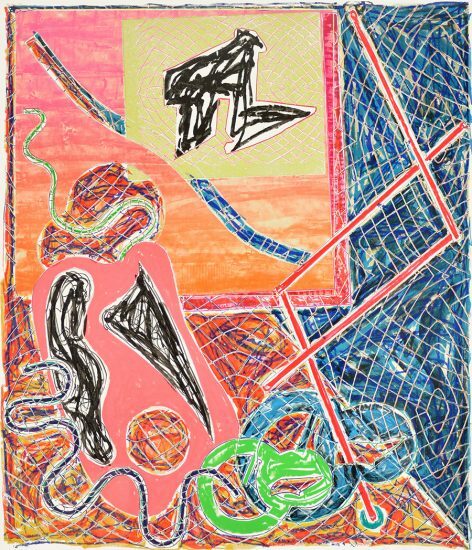 Created in 1988, this relief, etching, and aquatint on white TGL handmade paper is hand-signed and dated by Frank Stella (Massachusetts, 1936 - ) in pencil in the lower right of the image. The work is inscribed “A.P. XIV,” in the lower right of the image; one of 14 artist proofs; aside from the numbered edition of 42. Inscribed “A.P. 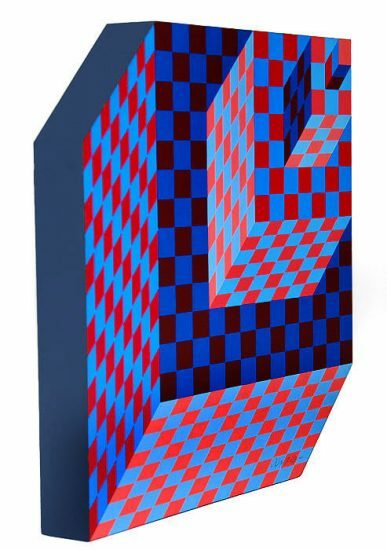 XIV,” in the lower right of the image; one of 14 artist proofs; aside from the numbered edition of 42. Published by Tyler Graphics, Ltd., Mount Kisco, NY. 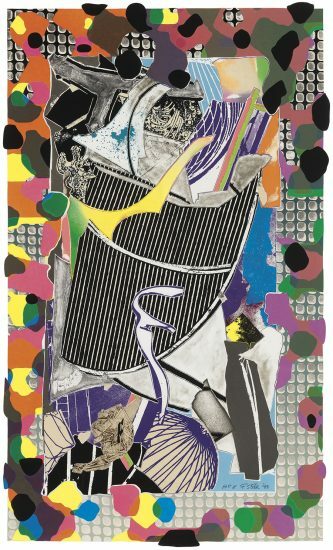 Frank Stella La Penna di Hu (Black and White), 1988 is fully documented and referenced in the below catalogue raisonné and texts (copies will be enclosed as added documentation with the invoices that will accompany the sale of the work). 1. 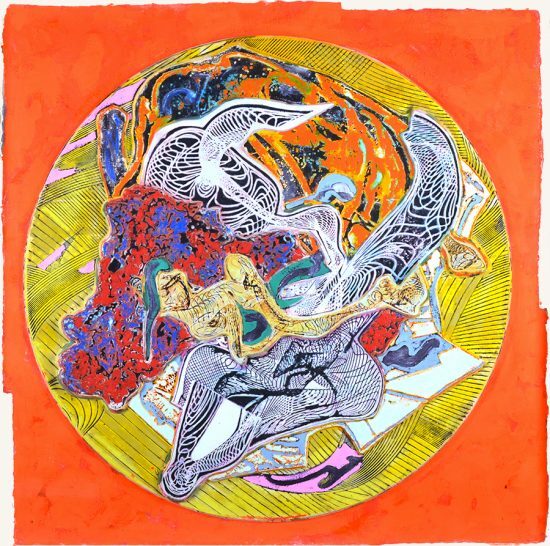 Axsom, Richard H. The Prints of Frank Stella: A Catalogue Raisonné. New York: Jordan Schnitzer Family Foundation, 2016. Listed and illustrated as catalogue raisonné no. 183. 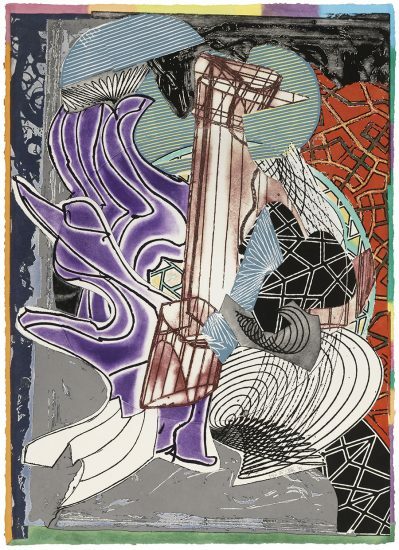 Framed to museum-grade, conservation standards, Frank Stella La Penna di Hu (Black and White), 1988 is presented in a complementary moulding and finished with silk-wrapped mats and optical grade Plexiglas.